Within Teamwork Projectsm you can edit any filters that you have saved. When you have a filter applied you can edit its details by hovering over the filter name in the right pane and clicking the three dots. You will then have the option to change the name and add/update the description. Select Update Filter to save changes. 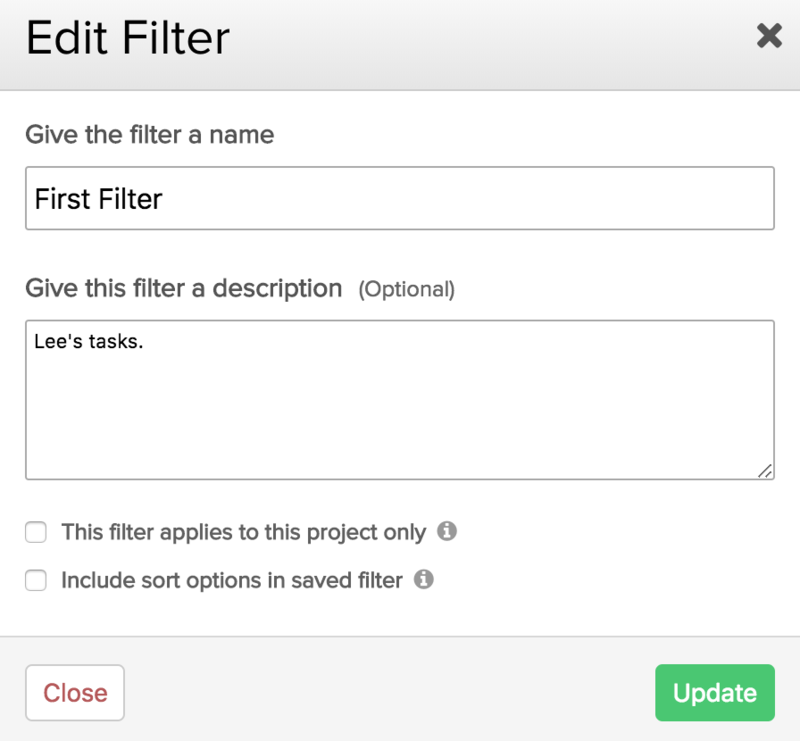 You can also edit a filter by clicking the Saved Filters tab, and then selecting the one you wish to edit. Once the changes are complete you can select Update Filter to the bottom right to save your changes. If you wish to create a new filter based on the changes you have made, select the dropdown arrow and select Save as. Selecting save allows you to give the filter a new name and description. 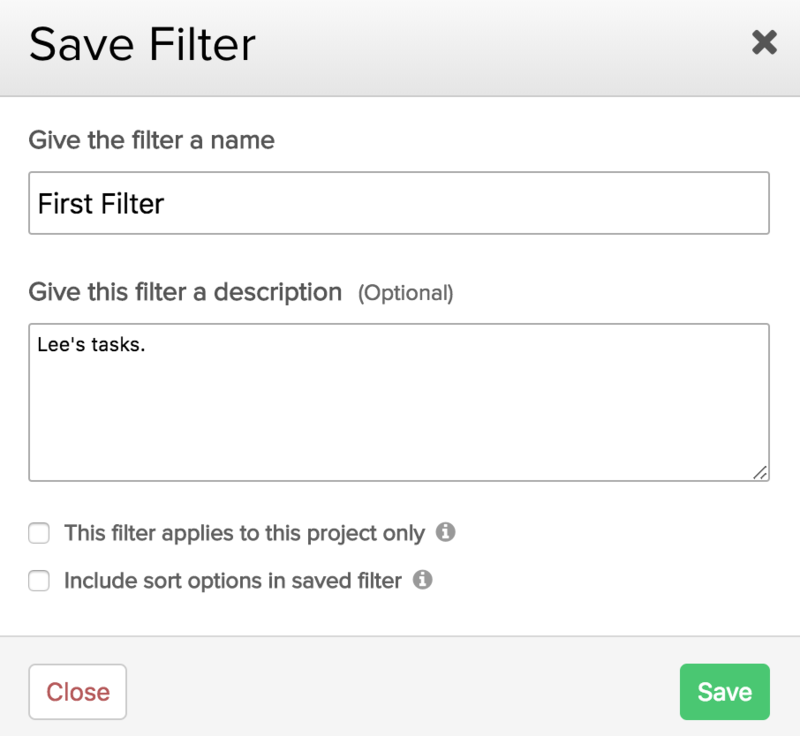 You can also select whether the filter applies to only that project, and whether to include the currently active sort options to the saved filter. When you select Add Filter it will then be added to the list of saved filters in the right pane.